The following was written for the Deseret News by Trent Toone. To read the full article, click here. 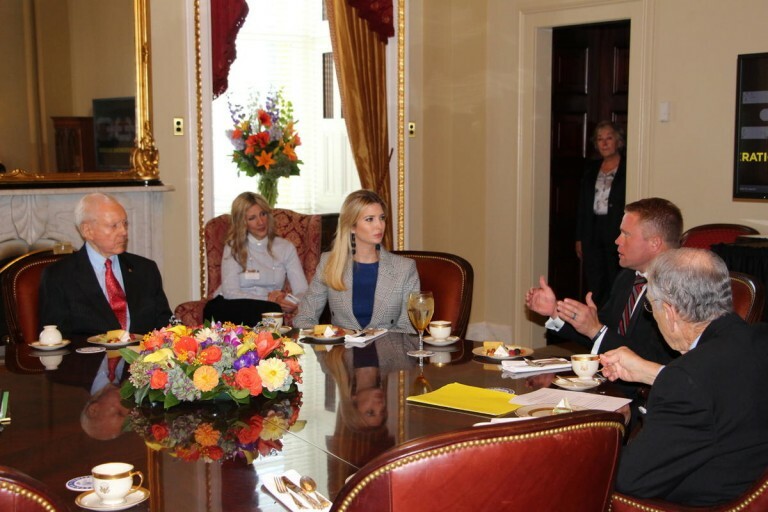 Tim Ballard, founder of Operation Underground Railroad, gave a special presentation to Ivanka Trump, special advisor to the president, and a small group of senators on Oct. 25 in Washington, D.C.
Sen. Orrin Hatch, R-Utah, hosted the meeting, invited Trump, and arranged for Ballard to speak. During the meeting, Ballard discussed legislation put forth by Sen. Hatch to help in the fight against human trafficking around the world. A former victim of trafficking also spoke to the gathering, according to ourrescue.org. During the meeting, Ballard spoke of one day creating an anti-trafficking center.